Few literary figures have undergone more transformations than Samuel Johnson. Attacked by his contemporaries for his deformities of personal appearance and aggressive intellectual style, Johnson has attained the status of an uncanonised English saint. 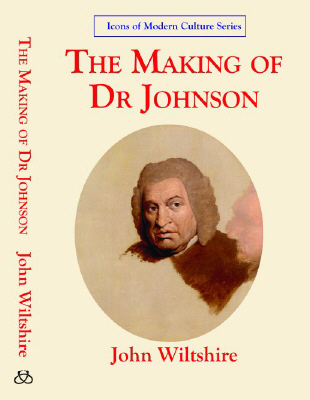 Crucial to this making of Johnson into Dr Johnson was his Life by James Boswell and the work of its subsequent editors, as this book shows. It demonstrates, too, how different a man is revealed in the biographies of his other friends, John Hawkins, Hester Thrale and Frances Burney, and in the impressive set of portraits by Joshua Reynolds. Copiously illustrated, The Making of Dr Johnson tracks the eventful course of Johnsons reputation over the past two hundred and fifty years. John Wiltshire has previously published Samuel Johnson in the medical world: the Doctor and the patient (1991). His four books on Jane Austen include Jane Austen and the Body (1992) and The Cinematic Jane Austen (2009) (with David Monaghan and Ariane Hudelet) and he has edited Mansfield Park in the Cambridge Edition of her Works. He is currently President of the Johnson Society of Australia. Daniel Vuillermin is completing a Ph.D at the Biography Institute, Australian National University.